The two main processors used for mastering are equalization to control tone, and dynamics to control the dynamic range. For decades, dynamic range reduction was necessary. Live music’s dynamic range is potentially as high as 120 dB, although practically speaking, our limit of perception for live music is around 80 dB due to the way the ear hears. In either case, the playback media couldn’t handle it. Vinyl records could accommodate about 60 dB when new. Cassette tapes were around 55 dB, although noise reduction increased that to 65 dB or more. Broadcast was even worse—about 50 dB for FM radio, and 30 dB for AM. If signals exceeded the available dynamic range, the result was distortion; low-level signals became lost in the noise floor. So, reducing the dynamic range “shoehorned” the music into the available medium by bringing up the low levels and lowering the peaks. With the introduction of digital audio – first the CD, and now streaming – we now had potentially 96 dB of dynamic range. Technically, it’s a bit less due to limitations within the audio converters and circuitry of CD players, but techniques like dithering can increase the perceived range. Some companies even produce 24-bit files for streaming whose dynamic range exceeds that of a CD. So I guess we don’t need dynamics control any more, right? Well...sort of. Some forms of music, like classical and jazz, take advantage of the CD’s dynamic range and use very little – if any – dynamic range reduction. Even if you’re not a fan of classical music, it’s not hard to become a convert when you hear a really well-recorded orchestra with full dynamic range over quality loudspeakers that—unlike headphones—actually move waves of air over your body. However, pop music lives in a different world. Many people use music more as a soundtrack to their lives than a sit-down-and-listen experience. There’s background noise, road noise if you’re listening in a car, and conversation if you’re at a party. Dynamic range reduction makes sure that the peaks don’t overpower, and the low-level sections don’t get lost in the hiss or background noise. And for EDM, having a uniform dynamic range makes it much easier to transition among songs in a playlist. A more pernicious application is that people will often perceive something “louder” as “better.” This is actually used to advantage by unscrupulous sales people when they want to sell you a particular speaker: they’ll make sure when they switch between two speakers for comparison, the one they want you to buy will be just a bit louder. This same principle has led to the so-called “loudness wars” where every band wants their music to be louder than anyone else’s. And of course, there’s the borders-on-evil application of compressing TV commercials SO THAT THEY JUMP OUT AT YOU AND ARE MUCH LOUDER THAN THE SHOW. If you master music, you’re stuck in a quandary: do you try to win the loudness wars, or go for purity and retain as much dynamic range as possible? Fortunately, you can come very close to doing both: have a wide enough dynamic range to avoid ear fatigue and provide a satisfying listening experience, while making the perceived level loud enough to slide right into a playlist. All it takes is the right plugin, used in the right way. My priority is a master that sounds like it’s not using compression, which is why the L3 Multimaximizer’s multiband operation is so important. The reason why multiband processing matters is because it prevents signals in one frequency range from affecting other frequency ranges. For example, without multiband dynamics, if a kick drum hits hard enough to trigger, limiting it will limit the high-hats and cymbals as well. Sometimes you do want this effect (or at least they did in the 60s! ), however it’s anything but transparent. With multiband dynamics, the kick lives in its own low-frequency world so that the L3 can attenuate its peaks, without attenuating sounds in the higher-frequency bands because of what the kick is doing. Fig. 1: The L3 set to full reset, except for a lower threshold that’s currently applying about 6 dB of limiting. The L3 splits the audio range into five bands (Fig. 1), but does not implement a separate limiter for each one; instead, there’s a single threshold, and an algorithm determines how to apply attenuation to each band so that peaks at the output are limited to that threshold. This approach allows for types of tweaking not normally associated with multiband dynamics processing. Another advantage of multiband operation is that you can consider the L3 as combining a sophisticated five-band equalizer with dynamics control. You can vary the crossover frequency, represented by the four vertical white lines, to shift the width of the bands. Solo buttons for each band make it easy to zero in on the precise frequency ranges you want to control. For example, if there’s not a lot happening in the lowest bass region, you can move the Xover Lo divider’s frequency higher to grab a little bit more of the lower mids. Or if you really need to focus in on the midrange, move the Xover Lo divider’s frequency higher, the Hi divider’s frequency down to 4 kHz, and set the other two crossover frequencies to divide up the now narrower midrange (Fig. 2). Fig. 2: The L3 is focusing on a narrower section of the midrange (outlined in red), because the high and low frequency ranges have been extended to take up more bandwidth. 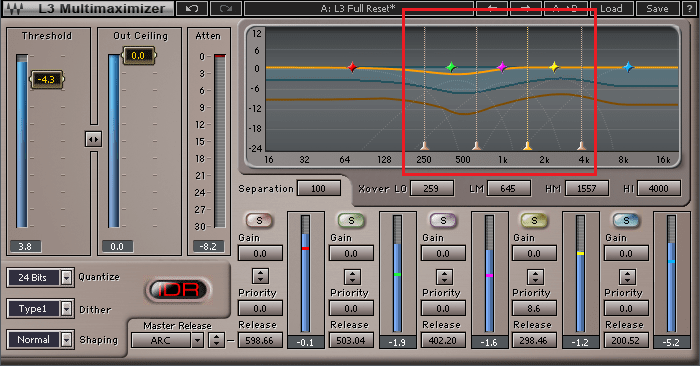 You can vary the EQ’s effect by adjusting the Gain parameter for boosting or cutting. Note that this is pre-limiting, so increasing the Gain “pushes” the particular frequency range into the limiter harder. Conversely, you can pull back on the Gain to have a band be less affected by the limiting action. This is a wonderful way to accent parts of a mix without using a separate stage of EQ. When you want some more gloss and air, increase Gain a bit on the highest band. Increasing Gain in the upper mids can improve the intelligibility of voices, while decreasing it in the lower mids can reduce “mud.” Because of the way these EQ changes interact with the limiting, the effect is unlike conventional EQ. With multiband dynamics, the equalizers are providing four different crossover points to create the five bands. If this used analog circuitry (or non-linear-phase digital EQ), there could be unavoidable “smearing” when the bands were summed back together due to phase shifts within the bands. The lack of smearing in the L3 is because it uses linear-phase technology. In brief, this delays the bands by about 80 ms so they can all be adjusted transparently for precise phase alignment (as well as provide lookahead functionality, where the L3 can analyze transients in advance of needing to process them). This prevents smearing when the bands are added back together again to create the final stereo output. However, note that the 80 ms of delay is fixed so when you add the L3 to a project, it will increase the apparent latency. For this reason, it’s best to insert it only while playing back. Recording virtual instruments, or going through plugins to obtain a certain sound (e.g., amp sims), will make for a sluggish playing experience if the L3 is in the signal path. The L3’s user guide describes a clever setup feature for those who want to get up and running quickly. This is good, because it’s easy to get results fast and they sound excellent; but this is also bad, because it doesn’t provide much incentive to go further (“hey, it already sounds good”). But if you investigate what all the parameters can do, it’s possible to optimize the sound in a highly refined way. The Priority parameter is one of my favorites. If a frequency band sounds a little too limited, increasing Priority lays back a bit on the dynamics control—think of it as raising a threshold. My favorite application for this is increasing Priority in the upper midrange, because it makes vocals sound more natural and stand out a bit more from the track. You can also change Release times for the individual bands. Where this seems to make the most difference is with lower frequencies. I’ll start with the default release settings, but after the sound is pretty much dialed in, I’ll solo the lowest track to hear if increasing or decreasing release improves the sound. Sometimes if not optimized, the bass can give a bit of a “pop” and you can remedy that with the proper Release setting. The Separation parameter is also useful. 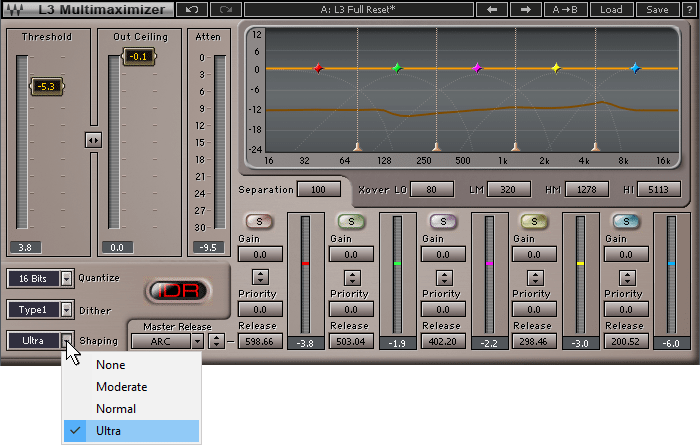 As you move it more toward 0, the L3 loses its multiband character and sounds more like a traditional wideband limiter. Sometimes I use the L3 on instrument tracks, and this helps tame the stereo imaging if the track needs to fit more demurely in the mix. 5. How Much Is Enough? When using the L3, I set the output ceiling for -0.1 if the client wants maximum loudness; this is also important for CD production (although streaming gets all the attention, CDs are still popular at the merch tables). Some duplicators will reject a master with a string of data at 0. This is because they don’t know if the CD really is supposed to hit 0, or it distorted and couldn’t go higher than 0. As to the amount of attenuation, this is of course subjective. I find that when evaluating a track by peak level more than average level, I rarely want more than 6 dB of attenuation. Also note the IDR section that provides dithering. It’s assumed the L3 will be the last processor in your signal chain (and it should be); with most projects these days being recorded with a bit depth of 24 bits, if you want to create a final mix intended for CD you can quantize the bit depth to 16 bits, and choose different types of dithering and shaping (Fig. 3). You can also choose no dithering if the audio is to be published with 24-bit resolution. Step through the factory presets sometime – although many of them will sound exaggerated, this helps make it clear how different parameters affect the sound. You can then dial them back for a less obvious, but still present, effect. It’s especially interesting to experiment with different threshold settings. 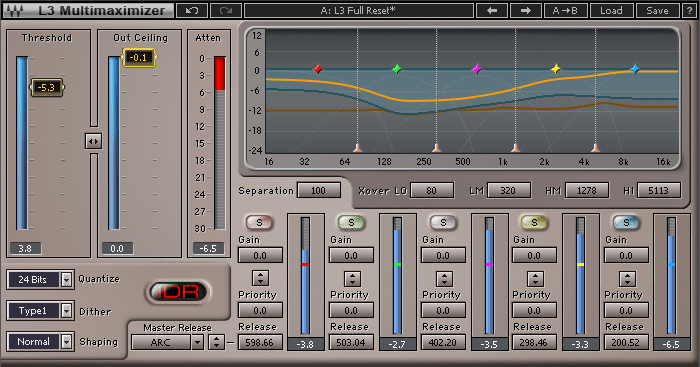 All in all, I've found the L3 Multimaximizer exceptionally useful for mastering. It’s not just that it delivers the expected results from multiband limiting; the phase-linear operation and the ability to bring EQ into the picture makes it much easier to tweak sounds exactly the way you want—and options like the priority control take this even further. Granted, you can just call up the default preset, lower the Threshold, and get fine results—but it’s well worth taking the time to become familiar with everything this plugin can do. 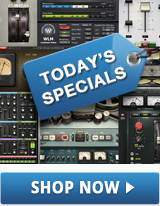 Adding EQ in your mastering session? 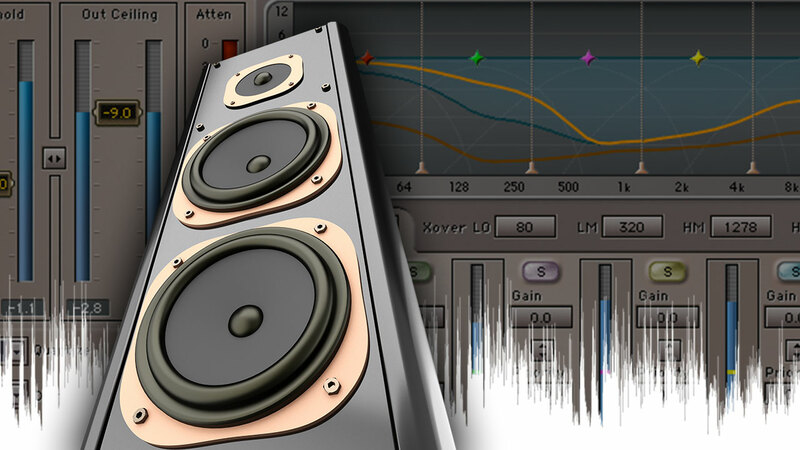 Be sure you're following these 10 EQ Tips during Mastering. Do you have any tips that we missed? Let us know in the comments below.